One of Color Point’s many automated greenhouse operations in Granville, IL. A small section of the 80-acre greenhouse. Most of what is grown is sold through Lowe’s stores throughout the Midwest. 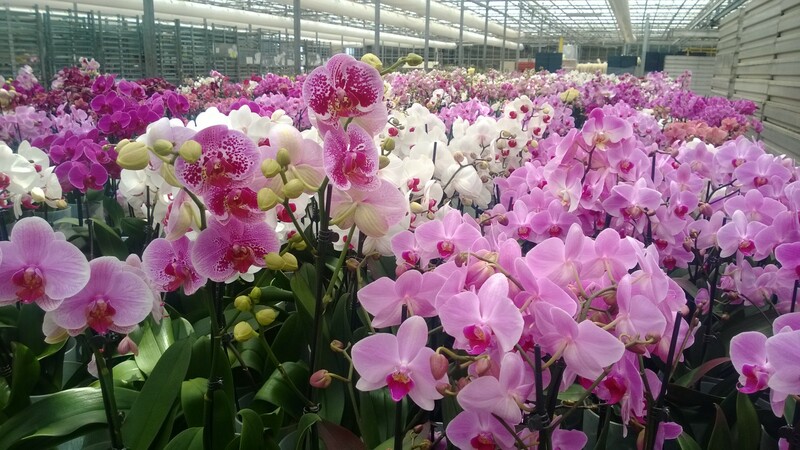 Orchids are one of the most plentiful plants grown in the Granville greenhouse. One of the three gigantic wood boilers found in the rear of the facility. Storage for wood chips trucked in from across Illinois, including urban forest wood waste. 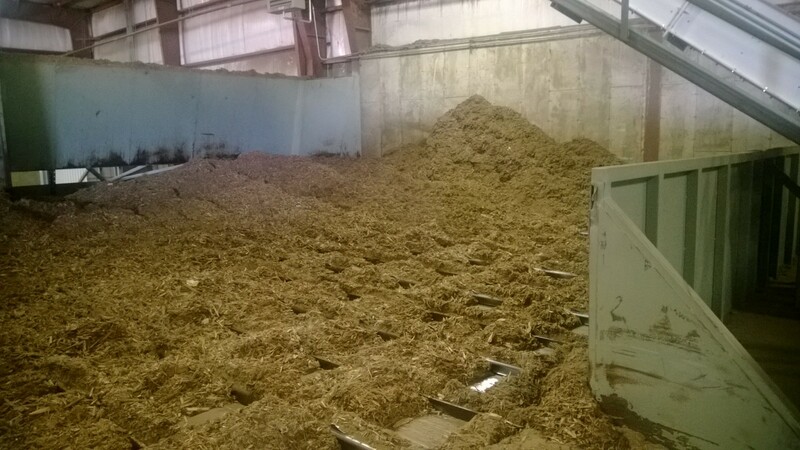 Wood chips are prepared to be fed into one of the boilers. 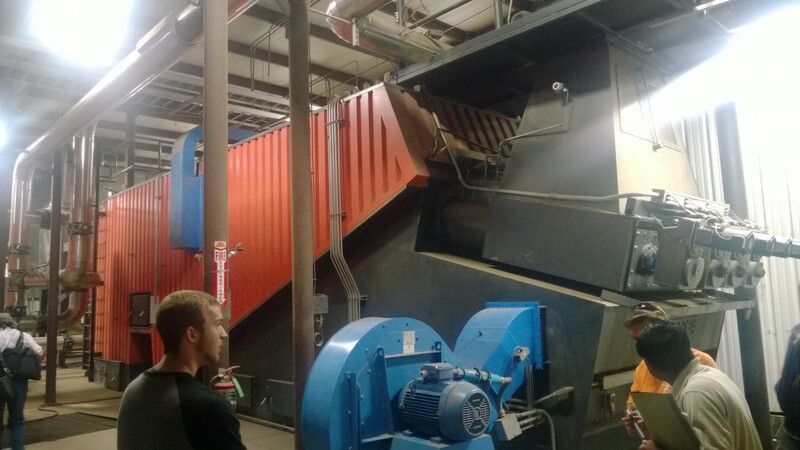 Wood chip boiler operation at Color Point. 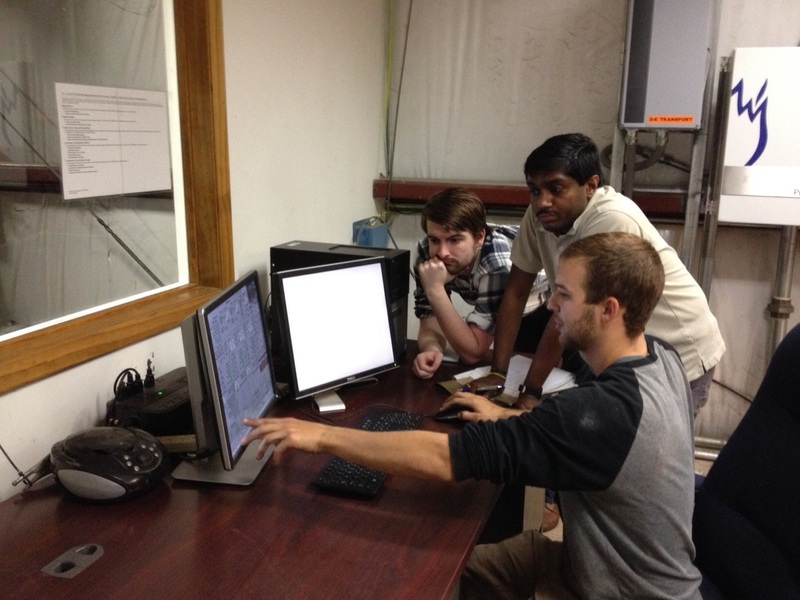 Looking over the remote monitoring software employed by Color Point. Monte Flack of Color Point giving an excellent explanation of how the greenhouse and the wood boiler interact. 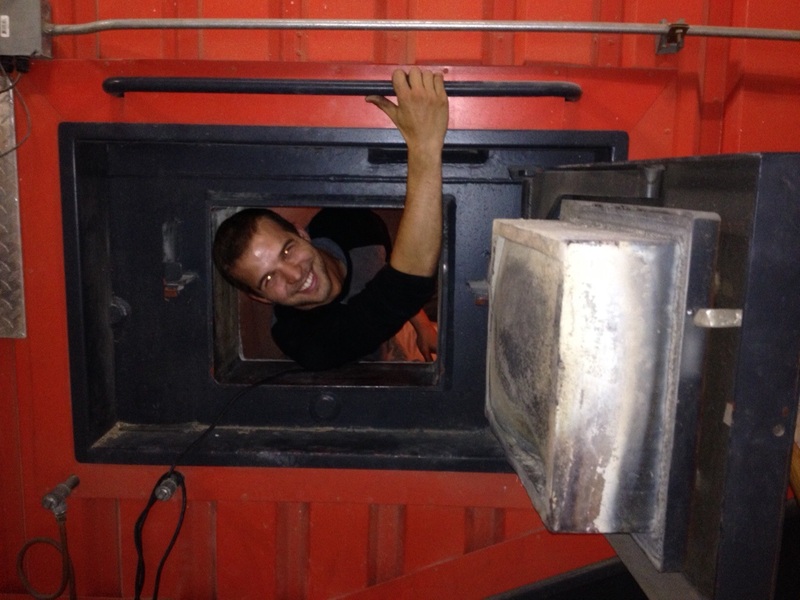 Damien Kostellic showing just how comfy the inside of one of the boilers can be…when it’s turned off! 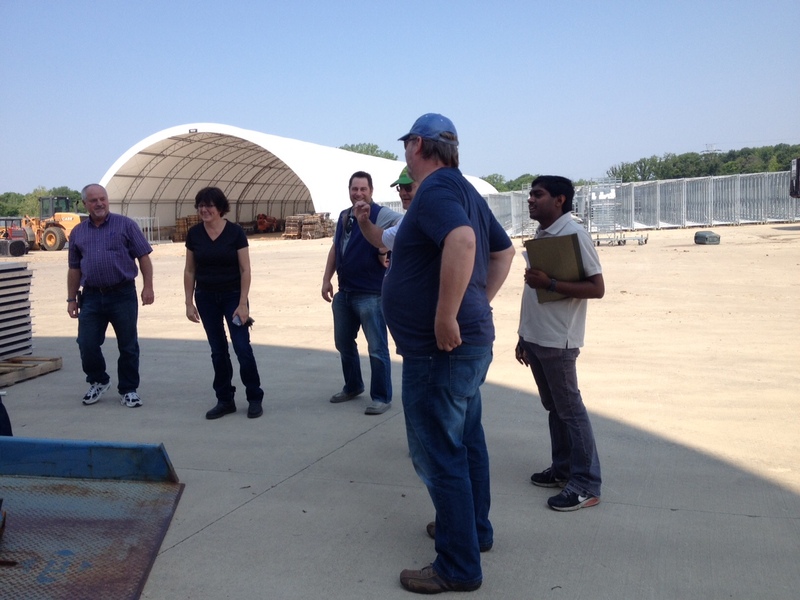 Wood chip processing operation at Color Point’s massive greenhouse operation in Granville, IL. View more photos. 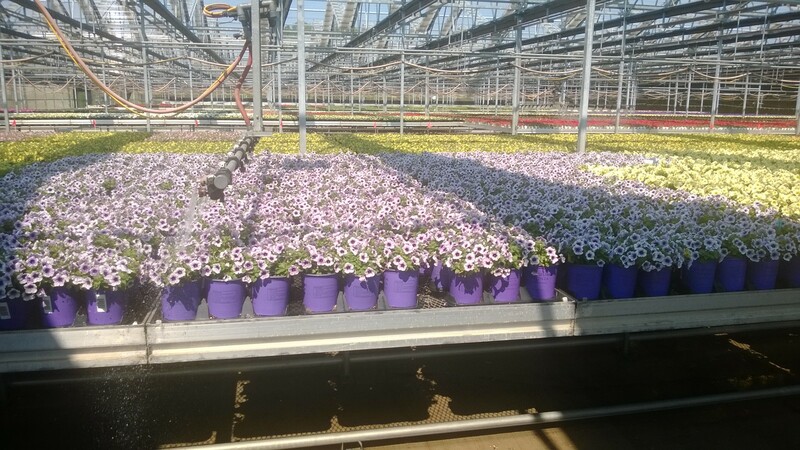 Color Point’s greenhouse operation located in Granville, IL, has been warming more than just their orchids and pansies within their massive 80-acre site. Tucked away in the rear of the facility are some of the largest wood burning boilers in the entire state of Illinois. These boilers have been supplying nearly the entire year-round heating requirements for the greenhouse and are doing it almost completely through the use of wood waste and urban wood chips. 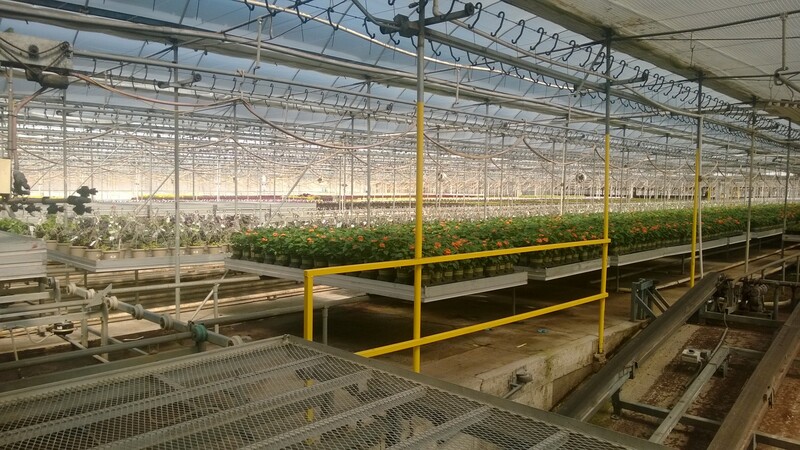 The Color Point greenhouse (formerly Mid-American Growers) is one of the largest greenhouses in the state of Illinois, providing employment for between 325 and 500 employees depending on the season. 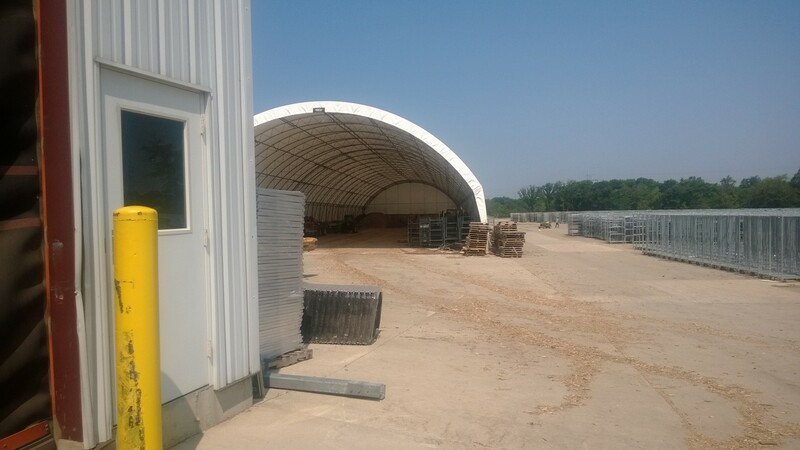 The operation began in the early 1970s with only a few small acres, and has grown into one of the most impressive cultivators in the state of Illinois. The company produces dozens of plant varieties, each in its specific climate-controlled conditions. Most of the plants supply Lowe’s stores across the Midwest. Maintenance supervisor Damien Kostellic oversees the operation of the three massive 30 million BTU boilers that are used to heat the facility, each capable of putting out 8 MW when fully operational. The boilers run on wood chips pulled from miles around, with daily shipments coming in from as far as the Chicago suburbs. 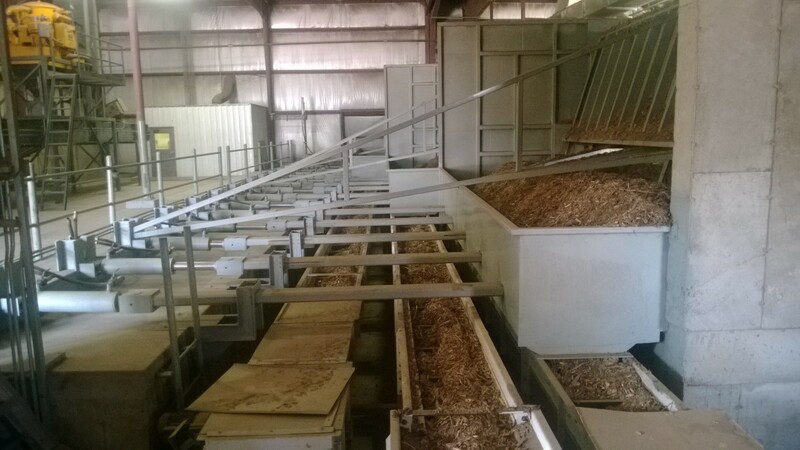 Mr. Kostellic indicated that their burners are able to take almost any variety of wood chips as long as they come in under 3 inches long and less than 30% moisture content. The majority of the wood trucked in comes from used, chipped wood pallets, but a noticeable portion is also derived from local urban wood waste. The boilers typically burn through 900 to 1,000 cubic yards of wood chips during an average operational day. They have a maximum capacity of about 220 tons per day. After the wood is burned in the boilers, the heat is either transferred throughout the greenhouse through a vast network of water tubes or stored in the 1 million gallon hot water storage tank at approximately 195 degrees Fahrenheit. In the event of an issue with the boilers, the maintenance staff also has a sizable natural gas backup system. It is a testament to the efficiency of wood-fired heating that Color Point is continuing to burn wood even with the current availability of low-cost natural gas. The Illinois Institute of Technology (IIT) needs wood – preferably sourced from Illinois’ extensive urban forest – for its upcoming Architecture & Furniture courses scheduled for this Summer and Fall and Spring 2016. Each course will culminate with the students’ works displayed in a public exhibition to educate kids and adults about the benefits of value-added urban wood. The greatest urgency is finding a supply of lumber for the summer course, said IIT Associate Professor Paul Pettigrew. He has taught IIT students about the design and fabrication of custom furniture since 2006. “Ideally we would have the wood at the beginning of each semester,” Pettigrew said. Although that translates to a June 9 deadline for the summer session, Pettigrew said he would be open to receiving a lumber donation later than that. The 2013 “Out of the Woods’ exhibition featured 50 student works crafted from storm-damaged oak trees. 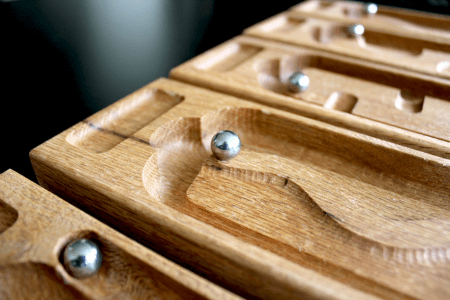 Pettigrew has been an avid supporter of using of urban wood for his classroom projects. One of his Architecture & Furniture program’s most celebrated urban wood projects, “Out of the Woods,” repurposed lumber salvaged from some of the nearly 200 oak trees damaged by a brutal July 2012 storm at Reed-Keppler Park in West Chicago, IL. Some 50 student pieces of furniture and art were showcased the following summer at West Chicago’s Railroad Days festival. The pieces were sold and raffled to raise money for the park and The Conservation Fund. Pettigrew said he is looking to build on the previous successful collaboration in West Chicago. “It is possible that all three project themes will be working around an idea that was given to me by a museum director in West Chicago,” Pettigrew said. “We will be attempting to put together a traveling exhibition of work that helps to explain what urban wood is and why it is or should be important to people of all ages, whether they live in a city, suburb, rural community, country or otherwise. Pettigrew said he requires at least one board per student. Each of the boards would ideally be 1-1/4-inch or thicker, be a least 6 feet long and range between 9 inches and 12 inches wide. Pettigrew said he would accept any hardwood species of urban wood. “While I have an ideal board dimension in mind, at the end of the day we will take whatever people are willing to give us,” Pettigrew said. In addition to the June 9 deadline for summer, Pettigrew hopes to receive urban wood for the Fall by Sept. 1 and for Spring 2016 by Jan. 17, 2016. He added that he has no problem arranging to pick up a load of wood. Lumber suppliers interested in making an urban wood donation to the IIT Furniture & Architecture program should contact Pettigrew at pettigrew@iit.edu or 773-294-1475. For those of us who think the concept of converting dead or dying urban trees into valuable lumber is a 21st century construct, think again. I literally stumbled upon this YouTube video of a Sept. 17, 1993 report from ABC World News Tonight with Peter Jennings. In fact, I was only the second viewer when I did so. It’s about George Hessenthaler of Salt Lake City, UT. He was inspired to start Uniquest Industries, a business focused on turning logs destined for landfills into value-added lumber. Soon after the ABC News report aired Hessenthaler renamed his enterprise more aptly Urban Forest Wood Works and moved it to nearby Logan. Talk about an urban wood pioneer! A May 2013 article in the Logan Herald Journal noted that Hessenthaler was then observing his 25th anniversary of repurposing otherwise discarded urban wood. A former public relations man turned cabinetmaker turned sawyer, Hessenthaler estimated that he had sawn 500,000 board feet of lumber from more than 20 difference species of urban forest trees.